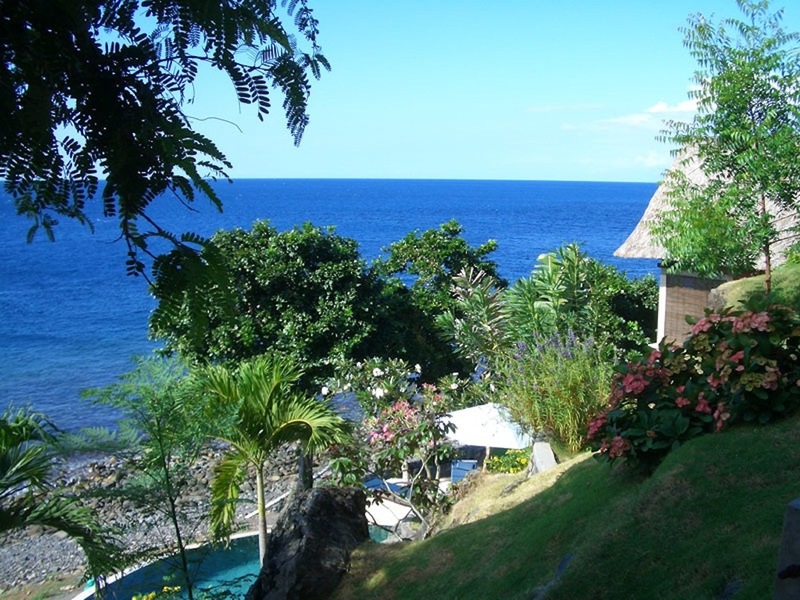 The Golden rock retreat is about three and a half hours from Denpasar international airport. The cost of transfer by taxi is included in the price of your package (7 & 9 day). If you arrive before lunch and you are keen to come straight to the retreat let us know your flight number and we’ll arrange for you to be picked up. If you would rather spend a night or two in Bali before the start of your programme, we can pick you up from any hotel. Just let us know in advance. You can use this form to check availability or simply ask a question. We are situated on the coast road, 10km southeast of Amed. Take the road to Amed. Remember to turn right to Amed in the village of Culik. You’ll know you have arrived in Amed by the large Euordive banners everywhere. Go through Amed village, across the bay and up a steep hill on the far side – you are heading southeast following the coast road. After about one kilometer you’ll come to a bridge, with a small ‘Retreat Bali’ sign on the left – 500 yards later take right fork in road then almost immediate left up the hill. Follow the road past Double One Villas, down into the village and out the other side. Continue for 1/2 km and cross over ford in river. Continue up a steep hill and go along cliff road for 1/2 km. Then down hill and right bend into a long bay. Cross two little dry river fords and an S bend then up a hill. Next small bay is the village of Aas – where we are – on far side as you go up hill on the left.